Gulfstream Park's 20-cent Rainbow 6 will have a mandatory payout Saturday afternoon with a pool that could climb as high as $10 million. The Rainbow 6 begins with Gulfstream's seventh race and includes four turf races, one a maiden special weight event going a mile, and the $100,000 El Prado, which attracted a field of 13 4-year-olds and up going 7 ½ furlongs on the turf. 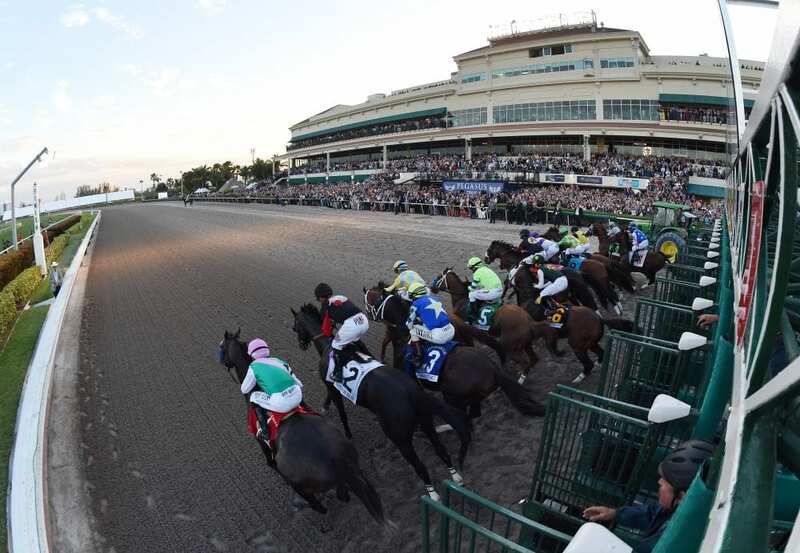 To help bettors, Gulfstream hosts and analysts Jason Blewitt and Ron Nicoletti along with the Daily Racing Form's writer and clocker Mike Welsch handicap Saturday's Rainbow 6. While handicapping Saturday's big bet, here's a look at Rainbow 6 tickets provided by Mike Welsch of the Daily Racing Form, John Pricci of HorseRaceInsider,com, Tim Reynolds of the Associated Press, Clark Spencer of the Miami Herald, the dudes from RacingDudes.com, and Gulfstream Spanish host and analyst Claudia Spadaro. This entry was posted in Horseplayers, NL List, Videos and tagged Gulfstream, gulfstream park, jason blewitt, mandatory payout, Mike Welsch, Rainbow 6, Rainbow 6 carryover, Ron Nicoletti by Press Release. Bookmark the permalink.